Watch this short video to discover where to install Carbon Monoxide detector alarm in your home, and check additional information below the video – it’s for your own safety! Although you may not be obligated to install Carbon Monoxide detector in your home (check the latest Carbon Monoxide Detectors State Statutes) do it for the safety of your family. Fossil Fuels – coal, natural gas, kerosene, oil, propane and wood. For Carbon Monoxide / smoke detector alarm combo installation, please follow smoke alarm installation locations. They are all good for a combo and CO alarm only devices. At least one Carbon Monoxide detector alarm installation is required on every floor of the multi-story residence including basement, and within 15 feet from a sleeping area. This is to ensure that its siren can be heard inside that sleeping area, behind the closed doors. 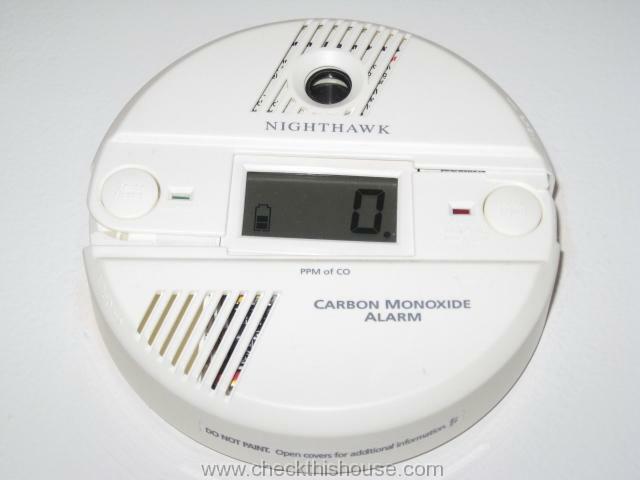 Carbon Monoxide detector alarm installation is required in bedrooms located above an attached garage. Some jurisdiction might require additional CO detectors installed in every bedroom – check it with your local building and / or fire department. While choosing Carbon Monoxide detector alarm locations, make sure that CO detector is not closer than 5′ from the cooking or bathing areas and 15′-20′ from all fuel burning appliances. This will prevent or at least minimize possibility of false alarms. Carbon Monoxide detector alarms equipped with digital display can be placed at eye level. This will allow easy monitoring of the display. 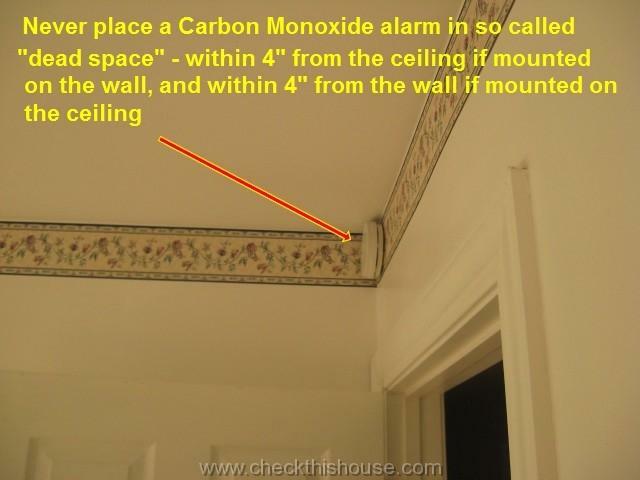 Never place a Carbon Monoxide detector alarm in so called “dead space” (same as for smoke alarms). Dead space is an area that projects 4″ onto the wall and ceiling from the point they’re joint together. Dead space also applies to peaks of vaulted ceiling and gable roofs. Avoid installing plug-in type carbon monoxide detector alarms in areas easily accessible by children – educate them about hazards of CO poisoning. 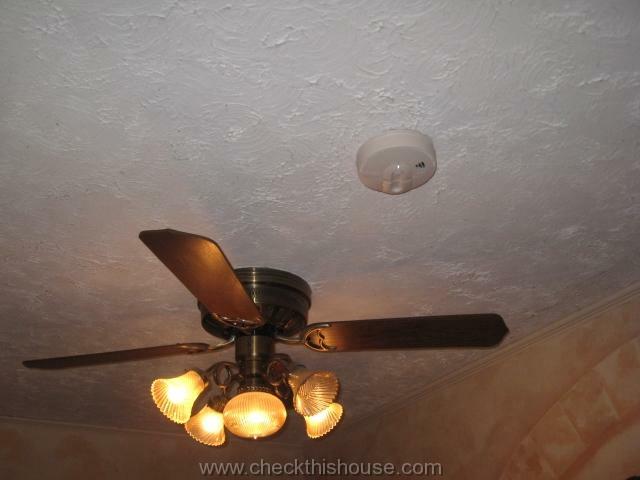 Do not place a Carbon Monoxide detector alarm close to the ceiling fan, air supply vents, and doors / windows opening to exterior. Do not install the alarm in areas where the temperature is below 40°F (4.4° Celsius) or hotter than 100°F (37.8° Celsius). 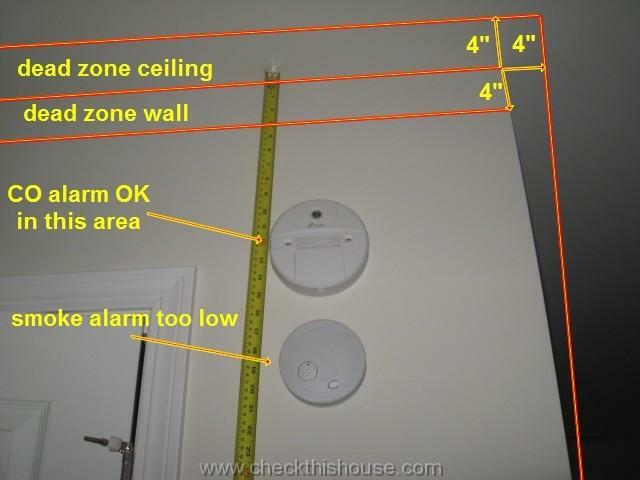 After you follow this “Carbon Monoxide detector alarm locations / where to install CO detector” guide, there’s one more, extremely important thing to remember.